It’s been a long wait, but now we get a look at Mexican Sage’s flowers. 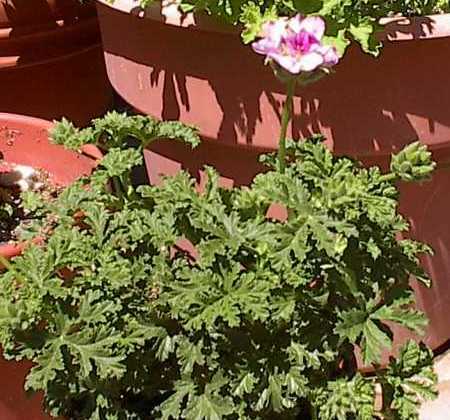 Pelargonium ‘Mexican Sage’ is a spicy scented geranium, a sport of P. ‘Apricot’. I’m beginning to get the idea that Mexican Sage will be a large plant. Compare to this photo shortly after arrival.